The SP2 901 is Storm's most high performance shoe. Its made with full grain leather and comes with extra soles and heel to help create your best approach possible. Take a gander at Storms entire shoe line and see what you think! This shoe was everything Inhad hope it would be. They are very comfortable and the soles and heels are easy to transfer. The toe protector helps prevent peel back. Break in was easy, but I would suggest dragging both shoes on the approach several times prior to actually throwing a ball. 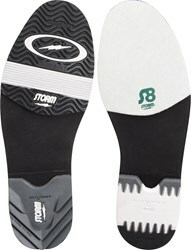 I find the shoes to be extremely stable throughout the approach and especially at the line. Ordering was easy and I received my shoes in less than a week. I would definitely purchase these shoes again. If you order these shoes I would recommend getting 1 size smaller, they run VERY large. SMH very disappointed abd haven't even used them. Heard the shoes run big is that true? Do you guys participate in black Friday sales? Are these shoes (RH - White/Black/Silver) available in "D" width only? 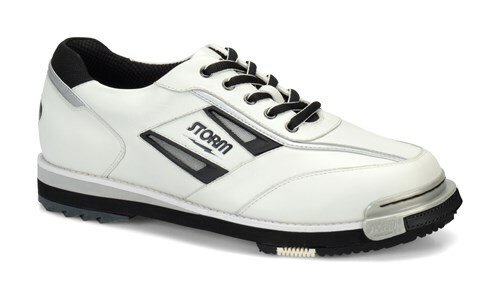 Due to the time it takes to produce the Storm Mens SP2 901 White/Black/Silver RH or LH ball it will ship in immediately. We cannot ship this ball outside the United States.